Obituary for Cynthia Gayle (Glass) Edwards | Dixon Funeral Home, Inc.
Funeral services for Elder Cynthia Gayle Edwards, 67, of Freeport will be Saturday, April 6, 2019 at 11:00 a.m. at Bethel Full Gospel Baptist Church in Freeport with Apostle Robert Campbell, Sr. eulogist and Bishop Jeffrey Williams officiating. Burial will follow at Eastern Branch Cemetery in Freeport, TX. 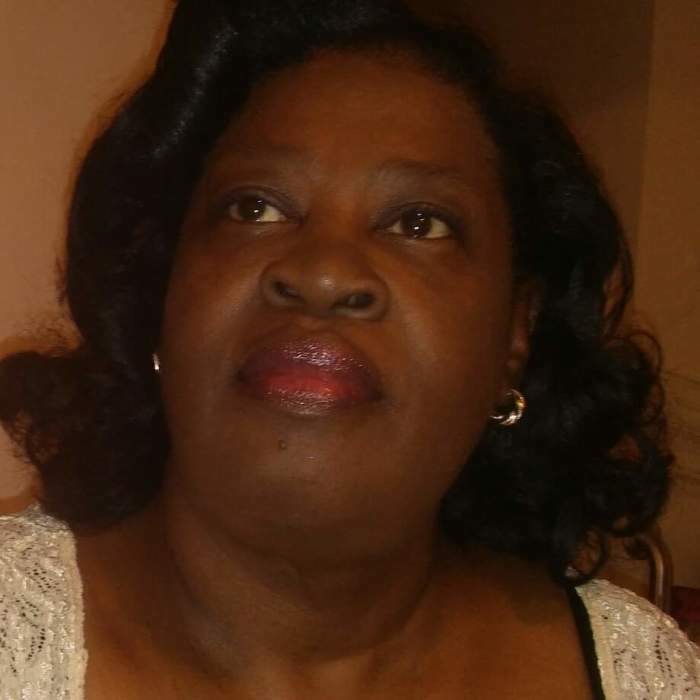 She passed away on Sunday, March 31, 2019 at Pearland Medical Center in Pearland, TX. She loved shopping, reading, cooking and working in her flower beds. Her greatest joy was spending time with her family. She also loved reading her bible and working with the Democratic Party Committee. She graduated from Alvin Community College in 1995 with an Associate Degree in Applied Science in Mental Health. She was preceded in death by her father, Arelious Glass, Sr.; brothers, Arelious Glass, Jr. and Mervin Roberts; grandchildren, Adrian Edwards Green and Zaden Lemons; niece, Katrina Deshon Glass-Wattell; nephew, Robert Campbell, Jr; life partner, Lee Otis Caldwell. She leaves to cherish her loving and precious memories; mother, Henrietta Glass, Lake Jackson; son, Anthony Edwards, Sr. (Crystal), Houston; daughters, Stacy Dawn Adetunji (Olajide), Freeport and Tracy Adigun (Olabode), Irving; brothers, Allen Glass, Sr., Lake Jackson, Kenneth Glass, Sr. (Sonya), Angleton, Tracy Roberts (Tammie), Fresno, Kenny Roberts, Lake Jackson, and Pastor J. R. Roberts, Dallas; sisters, Vivian Burley, Missouri City, Gretchen Glass Campbell (Apostle Robert, Sr.), Sugar Land, Monica Glass, Clute, Nancy Jones (Theron), Freeport, Pamelia Pointer (Kelly), Houston, Regina Essex, Pearland and Jennifer Fields (Carl), Lake Jackson, 12 grandchildren, 9 great grandchildren, host of other relatives and friends. Active pallbearers will be Anthony Edwards, Jr., Jaden Edwards-Lott, Ja’Michael Edwards-Lott, Keith Prince, Jr., De’Quan Grice and Jaqwan “Tigg” Townsend. Visitation will be the same day of the service at the church from 10:00 a.m. to 11:00 a.m. Final arrangements entrusted to Dixon Funeral Home of Angleton at 979.849.8800.